Like the idea of a live sketch event? 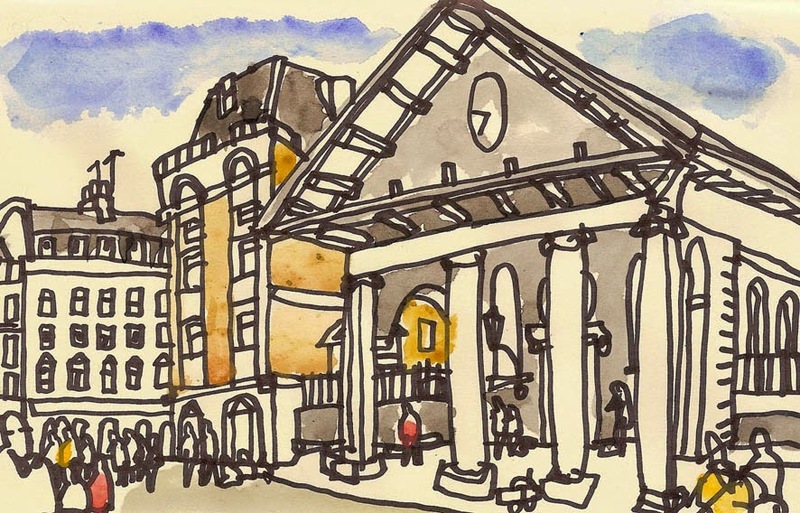 Urban Sketchers and Moleskine are teaming up for a day of drawing in and around Covent Garden, London, on Saturday 6 September 2014 with events planned at the Moleskine store in King Street and the London Graphic Centre in Shelton Street. I'm one of four artists – Adebanji Alade, Andrea Joseph and Olha Pryymak are the others – who will be drawing at the stores and in the streets nearby, ready to talk about drawing in sketchbooks and taking part in learning sessions, for which you'll need to reserve a place. I'll be at the London Graphic Centre with Andrea from 11.30am to 5.30pm, and Olha and Adebanji will be at the Moleskine store around the corner. During the day, an exhibition of drawings will gradually be built up in each store. Moleskine is also giving away Moleskine Sketch Albums – limited to the first 150 visitors to each store who present a coupon downloaded from its website. Get one if you can, but if you're too late, come and draw anyway. And say hello. To find out more, to book a place on a learning session, and to find out how to get a Sketch Album, have a look at Moleskine City Stories. This is the view along the river Thames that tourists from around the world turn their back on as they photograph the very recognisable shapes of Big Ben and the Houses of Parliament. Beyond the boats moored before Lambeth Bridge lie the tower blocks of Vauxhall, and further still, the cranes of Nine Elms, a rapidly developing part of the city that will house the new American Embassy, among much else. This stretch of the Thames looks undistinguished but it's stuffed with history, of course. Handel's Water Music was played here for the first time in 1717. King George I, heading upstream on the royal barge, liked it so much he made the floating orchestra play it four times, an hour each performance. Lambeth Palace, hidden to the left of the bridge, has been the London home of the Archbishops of Canterbury since the 13th century. 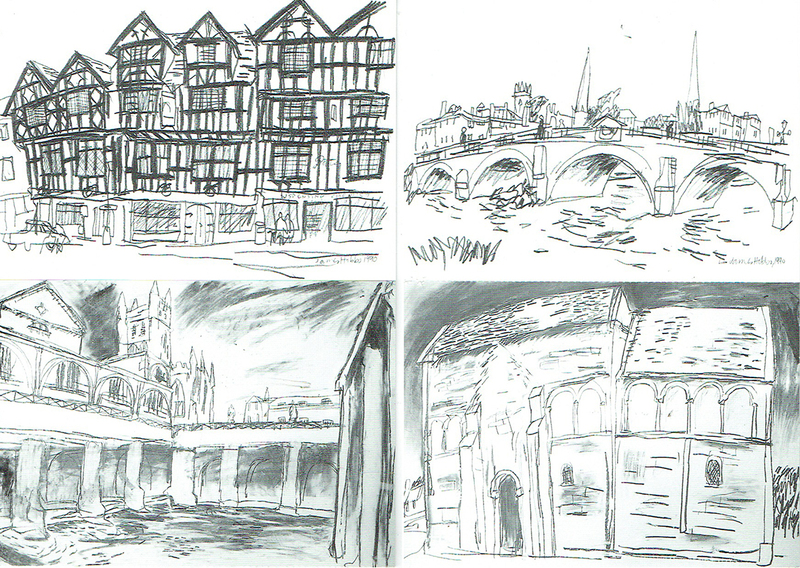 Turning your back on a city's great sights to draw what is behind you has always interested me. They are sights that say much more about the place than the scenes you see on postcards. I'm not convinced that the average Londoner is so emotionally attached to the great buildings of state, or Buckingham Palace, or the tourist attractions. London is a city of villages that have become congealed, and the local always has a strong pull. I'm more attached to Hackney Town Hall, the scene of happy, family events, than St James's Palace or Admiralty Arch, for instance.